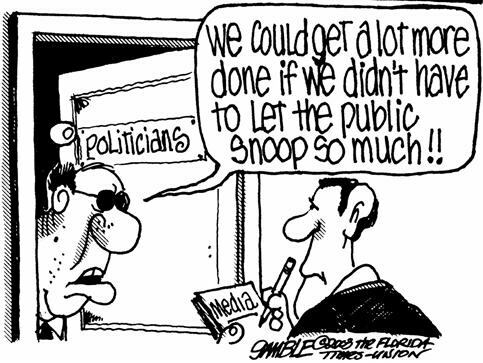 Do you believe the government/media covers up/hides a lot from the American people? What is your opinion on this? There are so many people in this world that I have never met that I want to hug. I want to befriend them. I want to hear their stories. I say this because I have become a documentary nut. I tend to lean toward societal documentaries. I just finished a documentary called Equality U that focused on a group of young people (LGBT) that visited different Christian based college campuses to spread their message and ask to be treated as equals. I am currently watching 9/11; The Falling Man. A lot of people don’t understand how I can watch such things but I feel that I need to in order to get a better perspective on life. These documentaries allow me to appreciate my life in a much bigger way and drive me to want to meet other people and allow them to feel a comfort with me. I want to lend my ear to people. In response to my question, I absolutely think many truths are covered up or hidden. I know there are certain circumstances in which events or occurrences are covered up in order to protect us as people but my question is where is the line? In the documentary 9/11: The Falling Man, a picture of a man falling to his death from a high floor of the Twin Towers was published in a New Jersey newspaper. Immediately there was controversy. Yes it is extremely hard to look at but it is reality. On the news they showed dead bodies in the streets after Hurricane Katrina blasted through Louisiana. I have seen documentaries of people that have climbed Mt. Everest and have reached a point where they were unable to continue up or down. They were stuck and their deaths were inevitable. These people were on film. What are the boundaries is my question? By no means am I a news or government junkie. I admit to actually being somewhat ignorant about some happenings in the world. I know some would say that I have no right to voice my opinion then but I would have to disagree because no matter what I am still a person. I admit to not knowing everything and everything I state is purely opinion based on what I know. I would love for others to share their viewpoints with me and enlighten me…hopefully they will do it with respect and tact but if not oh well. I know a lot of people would label me as one of those “peace loving hippies” and maybe in a sense I am. I love the country I was born and raised in and I do believe that we do need rules and regulations in certain forms in order to prevent complete chaos. I admit though that my gut tells me that there is so much going on in the government that the American people have no idea about. When Osama Bin Laden was killed there was a lot I questioned. This was a very evil man that was responsible for so many innocent people’s deaths. After the raid and his shooting there was great controversy over whether or not to publicize the pictures of him deceased. After government talks, it was decided that the pictures would not be shown to the public. I won’t lie, a part of me wondered if he was even killed. I wondered if the government captured him and had him hidden somewhere and could be potentially torturing him. Deep down I do believe he was killed but I don’t understand why pictures were never shown to the people of this country. This was a man that was behind the plot of the 9/11 tragedy. This was the man that was responsible (along with several other extremists) for taking the lives of thousands of innocent individuals. Media has shown images of students that were slain in campus murders but they refuse to show pictures of the dead body of a man that felt no remorse in killing people??? I know that there was fear of terrorist attacks if this were to happen but I guess I just wonder how much the government really does know. This is why I believe that freedom isn’t really free. I am actually unsure of what freedom really is anymore. I don’t believe I live shackled in this world. I do believe I have rights in certain forms and I do enjoy life for the most part but I also admit that I believe a lot of decisions are made for me and this I do have trouble swallowing. I didn’t really get a taste of politics/government until I started working in nonprofit and worked alongside the school district. At that time I was full of ideas and I wanted to do so many things that I believe could make an impact but I was constantly bombarded and told NO. I was unable to speak about contraception…the state and the school district would not allow it…meanwhile that year (2008) 171 teenage girls were pregnant (42 under the age of 17). This county was not that big. Moving from the north to the south was also a huge transition. No I am not going to be one of those people that says, “well, we didn’t do it that way in the south” because I chose to live here and I believe in respecting the people I am surrounded with whether they be northerners or southerners. I will never say the “northern” way is the correct way but I will not say the “southern” way is either. I believe there is opportunity for both to join forces but we have far too many stubborn people that cannot and will not accept change. One thing I could not and still do not understand though is prayer in school. Up north this is something you never see. It is believed that prayer and religion is a personal choice and this should not be something forced upon anyone. Bringing it into the schools would be inappropriate. Down here (at least in SC-I am not sure of other states) I have sat in School Board meetings where they say a prayer before beginning the meeting. I have witnessed prayer in classrooms and I have witnessed discussions between non-profit directors and students about homosexuality being a sin and if someone if gay that means there is something “wrong” with them. It seriously blew my mind and I didn’t understand how it was happening. Again, I am ignorant and I guess government rules and regulations vary from state to state but in my opinion religion is something that should never be imposed on someone. Religion is a personal and family matter and decisions should be made privately. A lot of other issues are decided for the whole as well though that I do not agree with…I completely support gay marriage but I know in my lifetime the laws will not be passed in every state to make it legal. This is because we have people in our government that are unable to separate their personal viewpoints from others. There is a huge divide between church and state and personally I do not like that the church has as much control as it does. So many wars have been caused by religious divide. Maybe I am being hypocritical by saying that religion should be personal and private but if we are so aware of the chaos and the destruction that it can cause why would we (actually I should say the government) allow it to be any basis for public decisions. The public does not get to decide…the government does. In a way the government owns us. If we do not allow 2 people that are in love no matter what their sexual orientation is then we are taking away people’s freedom. We are insulting the sanctity of marriage. Everyone says marriage it to be between a man and a woman but in truth marriage is about the LOVE that two people share. People tend to forget about the LOVE part of it all. When planning a wedding people tend to get so wrapped up with the plans that they forget that it isn’t about the flowers and the dress and the cake but instead it is about the marriage and about spending the rest of your life with the person you love more than anything in this world. With my words my goal is not to insult anyone or throw my opinions down anyone’s throat. I am not trying to twist anyone’s arm to believe the way that I do. I write this because I admit that there is so much I don’t know and I don’t understand. Being an adult now I have re-prioritized and I have really learned who I am and what is important to me. I don’t like the idea of being controlled in some form or another. I lean toward Buddhist philosophies and I practice mediation because I believe these things keep me at ease and make me embrace my happiness. I am able to alleviate my stresses and feel a lot more at peace. I do wish more people would try these techniques but I understand it is not for everyone. We live in a stressful world and I do not have all of the answers as to how to make it better. I talk about the things that I do because they are important to me. As you will notice I bring up the topic of homosexuality and gay marriage a lot. I, myself, am straight but I support gay marriage through and through. I have gay friends and no matter what I believe love is love no matter what the sexual orientation of the person is. I ache on the inside thinking about the struggles that gay people have to go through in their lives. First off they must listen to ridicule of how it is a “sin” and how they are going to hell and then the government gets to decide if they are able to be married or not. I feel like these people are treated as if they are specimens not actual people with a heartbeat and feelings. They are looked upon as if they are a different class of people. Every part of me thinks that is wrong because I do believe people are born gay. Studies have even shown that brain structure has been found to be different in many gay test subjects. It breaks my heart that some gay people cannot live their lives openly because they fear the consequences. It seems so very unfair and a lot of the segregation and the judgment comes from political figures and church pastors/preachers. I used to look at the church as a place that should be a complete safe haven but I no longer see it that way. I have gone all over the map as usual and I do not want to rant too much. I admit to being a little nervous about the responses that I may receive to this entry. I may be called ignorant or uneducated and I will not be offended because I admitted that in some areas I am. I am only stating my opinions because I see all kinds of potential for humanity to better itself by practicing love and compassion as opposed to hatred and judgment but unfortunately this idea seems to be fading away more and more everyday. I don’t want to live in a state or fear but I admit to having them and I admit that these fears are what make me skeptical about bringing children into the world. I would hate to think of my children surrounded by a world with so much hatred, anger and pain. I know there is goodness and I know I would show them happiness and compassion and teach them all kinds of positive things but that does not mean that the bad does not exist. We are only able to protect others for so long. As stated in my last blog, I believe love is a much stronger emotion than hate. A reader stated that hate can be controlled but love cannot therefore it is absolutely the stronger emotion. I wish more people believed and lived this way. We need to be friends. We are in great company! It happens around the world. Governments hides anything they want just so the citizen will always see them as the good guy. Well said. I would differ in that you are not ignorant, but maybe need more facts. your moral feelings and fiber shine through. Keep on and don’t doubt yourself in the least. There are too many out there who have no idea how to listen to or handle a differing opinion. I like the thought that you want to allow people to feel a comfort with you. The more informed you are, the better you can achieve this goal. I hear what you’re saying. I to have pondered the same questions as you. My problem is that our higher powers, in my opinion, are corrupt. I don’t know what to believe or trust these days. I just rely on my faith, and do not pass judgement, because according to my faith, I am to love my brothers and sisters. All that keeps running through my mind right now are the 7 deadly sins. I pray peace to all! If you love documentaries, I have an awesome for you – and you will definitely wish you could hug Bill (the “star”) when you’re done watching! It’s really worth watching & it will remind you of all the kindness in this world. Hey Diane, great blog! Thanks for liking mine. Well thought out! Thanks for sharing your views. They are very important. 🙂 Thanks for follwing mine as well! I’m glad I got the chance to discove yours! A great read with many of the same opinions that I have. Having worked for the Air Force during the Vietnam War, I can tell you resoundingly, “YES, the government does hide a lot from us.” Having walked with the Holy Spirit in this country for many years, I can also testify that walking in love and respecting the rights of all goes a lot further in gaining a good quality of public life/national life than insults and anger in debating issues.